Peter was born and raised in the Shaw neighborhood in South St. Louis City. His dad, John, a US Air Force vet, worked for the federal government and served in the Missouri National Guard. His mom, Teresa, taught music and directed the choir at St. Margaret’s. Both parents have also been actively involved in the community — leading various neighborhood organizations. They even drove around on Neighborhood Watch trying to keep the community safe — with Peter in the back seat! Watching their passion for the neighborhood taught him the importance of community engagement, appreciation for diversity in backgrounds and opinions, and the value of empathy and hard work. 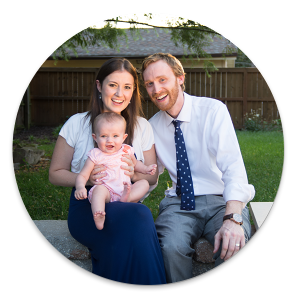 With his parents’ guidance and the support of his community, Peter graduated from St. Margaret of Scotland grade school and St. Louis University High School. He received a full scholarship to study musical theatre at The Catholic University of America in Washington, D.C. 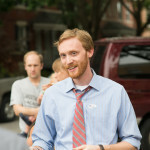 While there, Peter developed an excitement for politics and policy, and returned to St. Louis to study law at Washington University. He was honored to be admitted as a Webster Scholar for academic merit and commitment to public interest. Peter’s first job as an attorney was with the firm Husch Blackwell, where he worked during and after law school with some of the best lawyers and developers in the St. Louis area on a variety of real estate projects, including Ballpark Village, the Cheshire, developments on the Loop and Washington Ave, and the formation of Community Improvement Districts and Transportation Development Districts across the area. He also worked with St. Louis and surrounding cities on municipal matters, reviewing and drafting codes and ordinances and analyzing state election laws in detail. While at Husch, Peter was fortunate to meet his wife, Amy. They were married at St. Margaret’s in 2013, and have settled in right where he grew up in Shaw — on the same block as his parents, as well as both his sisters and their families. They are now even more blessed to be raising their first beautiful baby daughter and growing a family of their own in a place with such wonderful family and community support. It takes a village, and they have one! 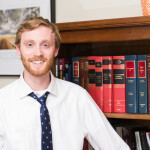 In 2011, Peter chose to leave the big firm life to practice law on the community level. He started his own law practice, GroundUp, in Shaw, where he’s able to work directly with neighbors, friends and family on their various legal needs. He’s a member of the Bar Association of Metropolitan St. Louis and Missouri Association of Trial Attorneys, and is of counsel with the firm Dearing & Hartzog, L.C. He also served on the St. Louis City Board of Equalization in 2014 and has been on the board of the 8th Ward Independent Democratic Association since 2013. With a practice of his own, Peter has also been able to pursue his other passions. He sings regularly with the St. Margaret’s choir and in other churches and groups. More importantly, he is able to stay actively involved as a leader in his community. As president of the Shaw Neighborhood Improvement Association in 2015, Peter worked hard with his neighbors to bring people together and make his community a better place every day. He also has served on the board of the Garden District Commission, overseeing development in one of the more distressed neighborhoods in south city. Peter believes the greatest progress can be achieved with hard work from the ground up. For that reason, he will make it a priority to find ways to improve communication with residents of his district. He wants voters to be the lobbyists with the strongest voices in his ear every day, pointing him to the issues they care about and helping him find creative solutions to those issues.